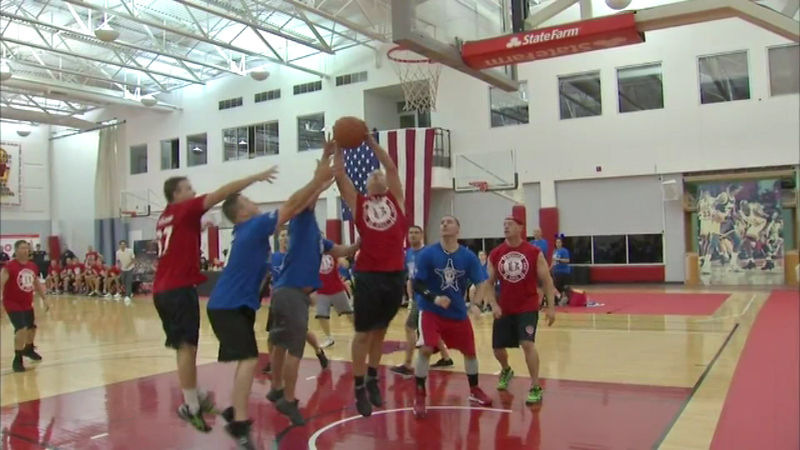 A basketball game in the northern suburbs Friday night was held to benefit the family of Fox Lake Lt. Joe Gliniewicz. DEERFIELD, Ill. (WLS) -- A basketball game in the northern suburbs Friday night was held to benefit the family of Fox Lake Lt. Joe Gliniewicz. Deerfield police and firefighters from the Deerfield- Bannockburn Fire Department played. The police were coached by retired Bulls player Bill Wennington, and current Bull Kirk Hinrich coached the firefighters.